LOCATED AT THE CORNER OF KEARNY AND SACRAMENTO ST, TRANSPORTATION BUS LINES-#15 3RD ST LINE, #1 CALIFORIA AND CALIFORNIA CABLE CAR LINE. ONSITE PARKING,INCLUDING SPACES FOR DISABLED INDIVIDUALS,IS NOT AVAILABLE AT THIS LOCATION. The San Francisco Social Security office is located in San Francisco 94108. The following page includes information for this location like the office phone number, hours of operation and driving directions. 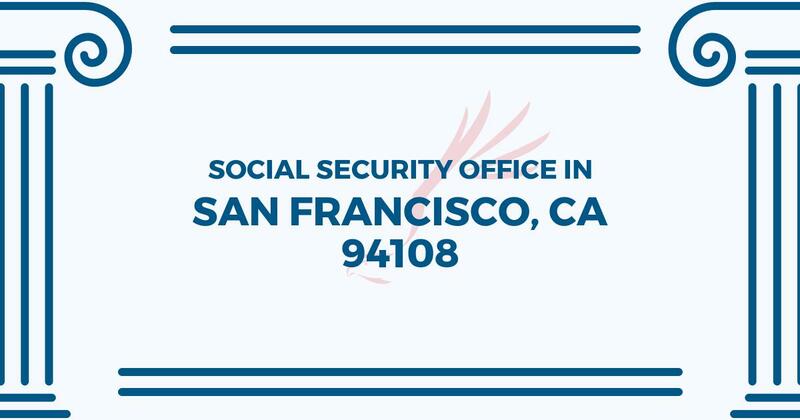 If you have any interests or comments about your retirement benefits or are interested in making an appointment, call the following San Francisco Social Security office. The San Francisco Social Security office is located at 560 Kearny Street. The San Francisco office shares information, guidance and services directed by the Social Security Administration. The following page provides information for this location like the office phone number, hours of operation and driving directions. If you have inquiries or comments about your retirement Social Security benefits, or you need to schedule an appointment, contact the San Francisco Social Security office.